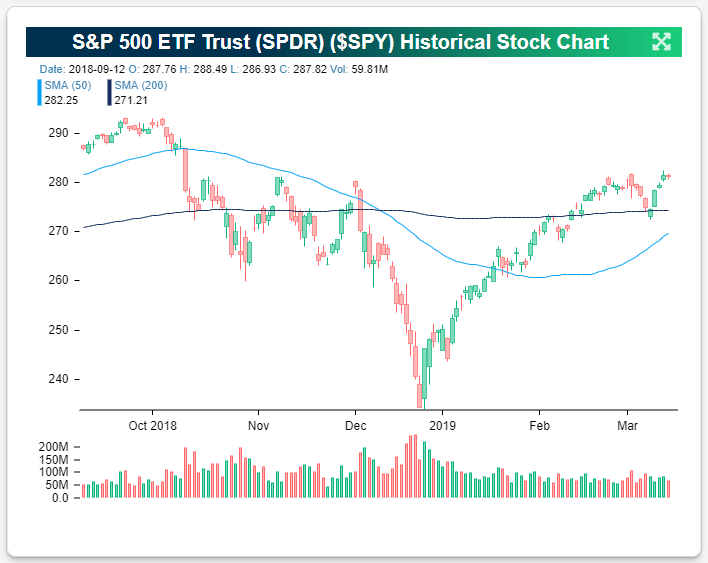 The S&P 500 has managed to close above 2,800 this week and make a new 2019 high, but the index is still dealing with resistance between 2,815-2,820. 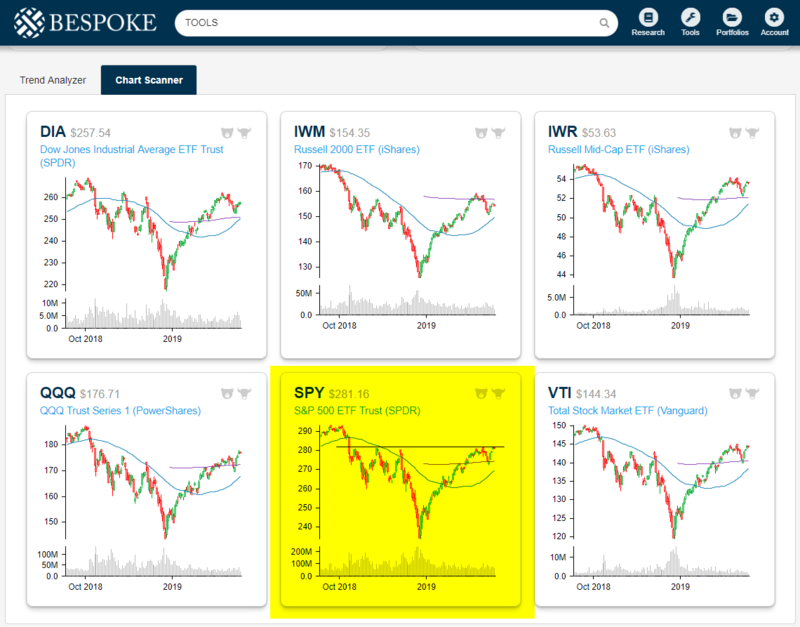 As shown in the charts for SPY below, this is an area that the index has tested (and failed) five times already over the last six months. It would be a fitting end to what has been a strong week for US equities if the S&P could finally break through resistance today. All it will take to push through is a gain of roughly 50 basis points today. Happy Friday trading!